Why Do You Need To Make Feed Pellets For Your Animals? Why Do You Need To Make Feed Pellets For Your Poultry and Livestock? 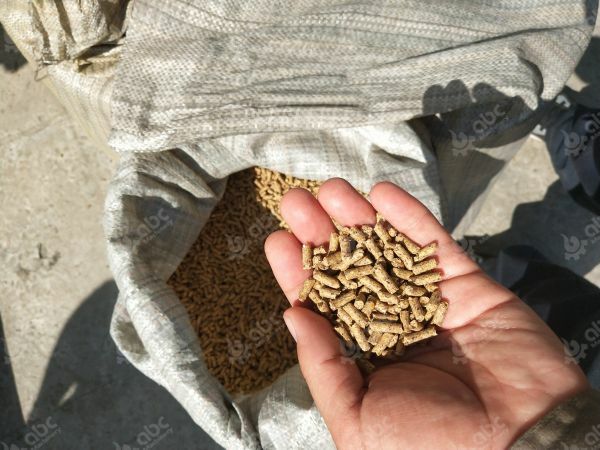 High quality feed pellets are the pellets that can withstand repeated operations, for example, there is not much breakage or produce too much particles during bagging, transportation, storage, and moving in feed lines. The pellet quality is usually expressed by Pellet Durability Index (PDI) and can be measured using a tumbling can device: first screen the sample feed pellets to get rid of fine, then tumble in the tumbling can for some time. After tumbling, screen the sample pellets again to remove small particles, in order to get the weight of intact pellets. Other equipment can also be used to determine the durability of feed pellets, such as Holman particle detectors, wood detectors, and the like. Some feed ingredients are beneficial for improving the quality of feed pellets, while others may be disadvantageous. Unfortunately, corn or soybean-type diets are not the ideal diet to achieve optimal feed pellet quality. As compared to maize and maize by-products, wheat contains high levels of protein (gluten) and hemicellulose, so adding wheat grain or wheat by-products (wheat gluten, wheat gluten) to feed pellets will obtain higher PDI. Similarly, replacing corn in the diet with oatmeal can also improve the quality of the feed pellets. We can sort the beneficial effects of feed grain on the quality of the feed pellets, from the best to the worst: oats, wheat, barley, corn, sorghum. We have long known that starch and its gelatinization are the most important factors in achieving optimum levels of feed pellets quality. However, recent reports indicate that the beneficial effects of protein on the quality of feed pellets are far more important than starch. Adding binders to the diet (e.g. water, the simplest binder, lignosulfonates, hemicellulose extracts, gelatin, etc.) and/or surfactants can improve the quality and yield of the feed pellets, and can reduce energy consumption. Feed Pellet Quality Factor (FPQF) is a tool that can be used to predict the quality of pellets in a feed formula. Estimate FPQF for a certain feed formula: Each feed ingredient has its own Pellet Quality Factor (PQF). The score of PQF is 0-10, of which 0 indicates poor quality of feed pellets and 10 indicates excellent quality of feed pellets. We can estimate the FPQF of the feed by multiplying the PQF value of each feed by its percentage in the formulation. The FPQF value of the feed formulation is equal to the sum of the FPQF of all the raw materials used. In general, a feed formula with an FPQF value of less than 4.7 indicates poor feed pellet quality, while a feed yield greater than 4.7 indicates good feed quality. 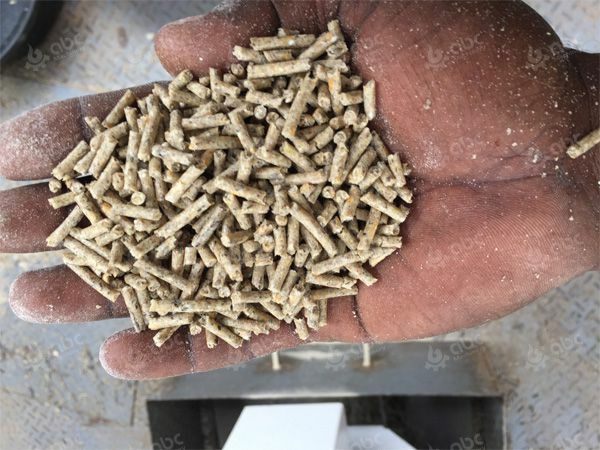 Although some researchers doubt this, most people still believe that reducing the particle size of feed ingredients is conducive to improving the feed pellet quality. However, we do not recommend excessive smashing to avoid wasting energy and reducing productivity, and this is not conducive to poultry and livestock stomach development. 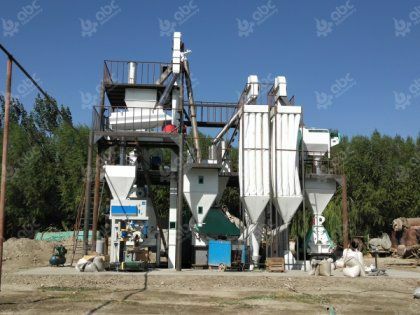 On the other hand, coarse pulverization can reduce the decomposition of feed granules and reduce the degree of gelatinization of starch (high-quality gelatinization is required to produce high-quality feed pellets). 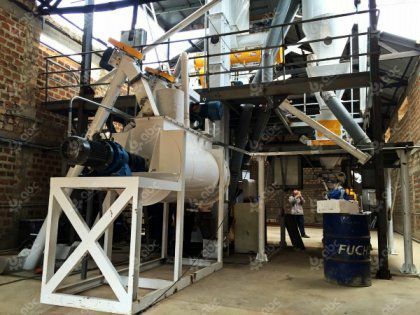 As the powder passes through the conditioner of feed pellet mill, it is exposed to high pressure steam. This steam provides high temperatures and moisture required for starch gelatinization, allowing the particles to stick to each other, the feed to be semi-digested, and killing pathogens in the feed. The steam temperature and the time of the powder in the conditioner have a great influence on the durability of the feed pellets. The feed is tempered at 80℃ to produce high quality feed pellets. To produce highly tolerant feed pellets, the powder stays in the tempering cylinder for a minimum of 30s. Long-term use of the conditioner (feed can stay in the conditioner for 3~4min) can be used to improve the viscosity of feed pellets. 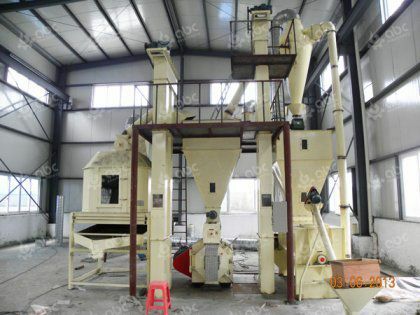 The pellet feed is produced by pressing hot powder into a ring die (mold) by a pressing roller. 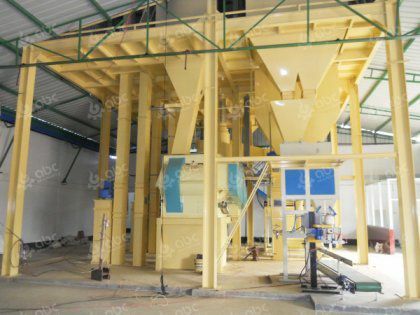 Thicker ring dies (longer ring mold channels) are advantageous for improving the durability of the feed pellets as this increase the friction time between the feed pellets and the ring die wall, making the starch gelatinization more complete. Most starch gelatinization occurs when the feed passes through the ring die. Similar results can be obtained by using a small aperture ring die. This means that a 60 mm thick ring die is better than a 50mm or 40mm thick ring die, and a 3mm ring die aperture is better than a 5mm ring die aperture. However, ring dies that are too thick or too small have a negative impact on feed pellet yield. In addition, increasing the distance between the press roller and the ring die from 0.1 mm to 2mm improves the durability of the feed pellets. When leaving the granulator, the feed pellets have a temperature of 70 to 90℃ and a humidity of 15% to 17%. 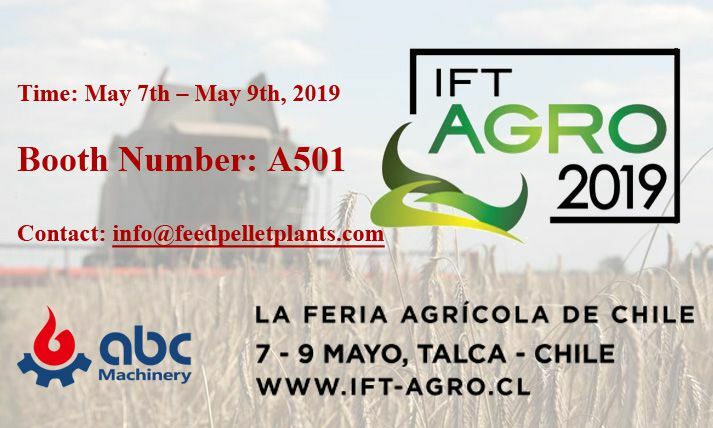 Feed pellets require moderate cooling (using a cooler) to reduce the pellet temperature to about 8℃ above ambient temperature and reduce its humidity to 12%. The type of cooler can be either horizontal or vertical. Rapid cooling causes the surface of the feed pellet to lose more moisture and heat than the interior of the pellet, making the pellet brittle. 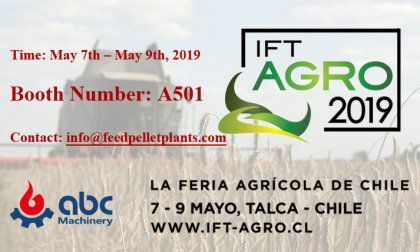 On the other hand, long-term cooling can make the feed pellets too dry, and these pellets may have problems of easy wear and poor palatability. 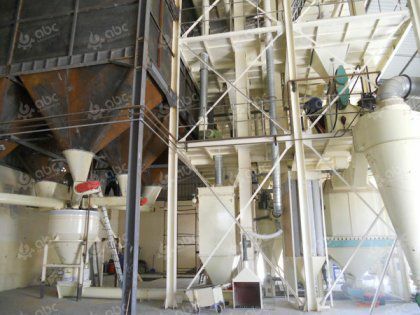 ABC Machinery is the expert in manufacturing feed pellet mill machinery and making feed mill plant business plans. 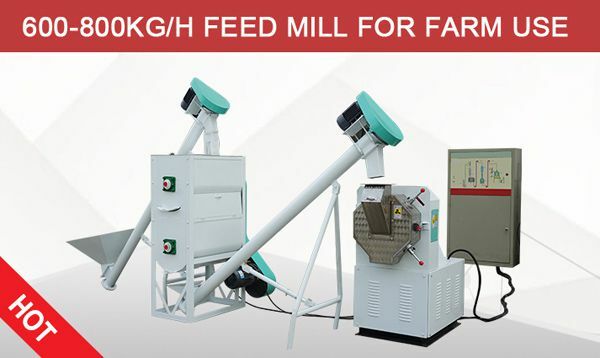 If you are planning to set up your own feed mill plant, or have the interest in making feed pellets for your poultry and livestock, don't hesitate to contact us for BEST Feed Processing Solutions!